Relocation Strategies was retained to execute the move of the administrative offices of Orange County’s world-renowned Pacific Symphony. Its new Irvine office was being completed renovated, and the move required the coordination of furniture deliveries and installation from three separate locations during a construction period in which access was frequently limited due to construction activities. 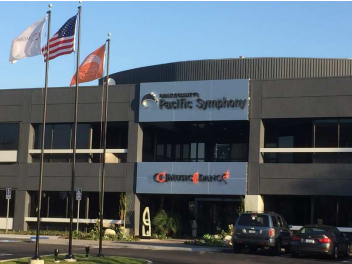 As a result of Relocation Strategies’ efforts, Pacific Symphony was able to meet its preset move date, which ended up being the day the Certificate of Occupancy was issued. Relocation Strategies was responsible for space planning, inventory evaluation, new furniture purchases, move training and the sourcing and management of movers, PC disconnect/reconnect and security systems. Furnished repurposed and space plan tailored to meet individual requirements and to efficiently bring capital expenditures under budget. Relocation Strategies also managed the decommission process. The decommissioning came in below budget and within the established timeframe, enabling Pacific Symphony to avoid any holdover rent.